Vogue Crafts & Designs Pvt. Ltd.: 10 Unspoken Promises between a Girl and Her Bestie! 10 Unspoken Promises between a Girl and Her Bestie! She’s the first person you run to – whether you’re having a great day, or the worst. She’s also the first one to know if you’re upset or just being irrational. You and your best friend are basically telepathic. One look at each other and you’ll know what the other one is thinking…functioning on the same level like two different strings on the same instrument. Boyfriends may come and go but she’s the one you wanna hold on to for dear life. Here are 10 unspoken promises between a girl and her bestie. Only your bestie will bring you back to earth if you’re flying too high and unreasonably so. Like the time you were head over heels in love with someone who wasn’t meant for you – and he broke your heart? Yup, pretty sure she had already warned you. Whether she hates or likes whom you’re dating, she will always be on your side. And that will never change. Ever! 3. To never have to ask for advice…especially when you’re out shopping! Because she’s already there picking out clothes for you and waiting right outside the trial room to critique how you look. 4. To always be each other’s wing-(wo)men! Even if it hurts. She will never tell you a lie just to make you feel better. 6. If she dislikes someone or something, you promise to dislike them too! Because that’s only the basic BFF rule. Duh! No questions asked. She probably hates someone because they did something to make her upset – and if they mess with her…they mess with you too! 8. Promise to keep each other’s secrets safe! She’s seen the best and the worst of you. She knows things about you that could probably get you grounded or even arrested – but she will never let those secrets out even if the sky falls upon her. You she had her eyes on Vogue Crafts website. As she really liked it’s clutches wholesale collection. 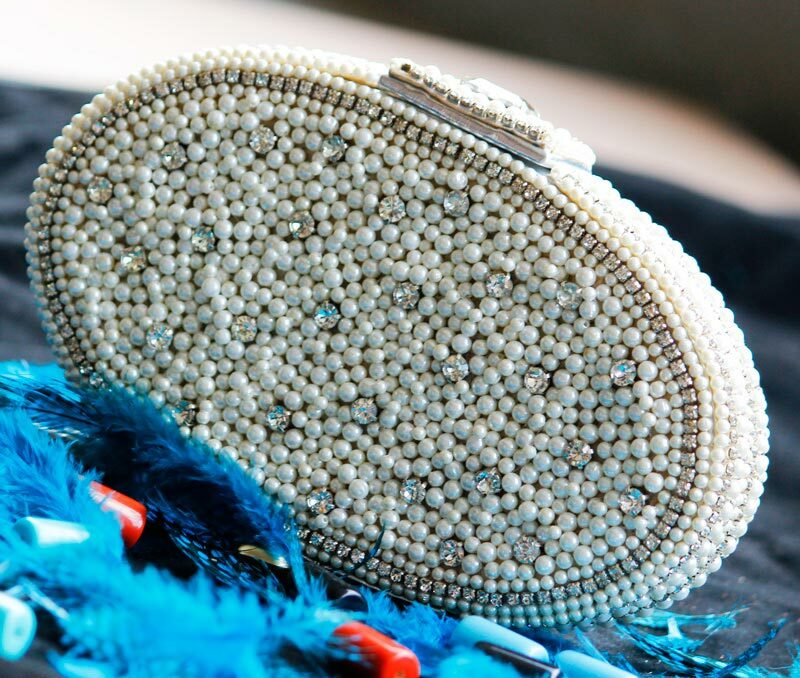 It becomes your moral responsibility to pick out that extra cute beaded clutch and gift it to her.